Martin Luther Mendenhall (who went by his middle name) was born on a farm in Chester, Pennsylvania. Mendenhall attended the University of Michigan and served as a quartermaster in the Union Army throughout the Civil War, taking part in several battles, including Gettysburg. Following the war he moved to Philadelphia to study law. In the late 1860s he became involved with Jay Cooke’s Lake Superior & Mississippi Railroad; Mendenhall was part of a team Cooke sent to Duluth to complete the railroad, set up banking houses and hotels, and oversee other Cooke investments. Mendenhall made investments of his own and, with other pioneers, financed Duluth’s first blast furnace and established First Methodist Church. After the Panic of 1873 left Cooke penniless, Mendenhall—instead of leaving bankrupt Duluth—doubled down on the Zenith City and stayed. When Duluth lost its city charter in 1877, Mendenhall acted as treasurer of the reforming community and was, along with Andreas M. Miller and Judge Ozora P. Stearns, instrumental in salvaging Duluth’s financial future. In 1882 he organized the Duluth National Bank, which by 1889 had evolved into Duluth’s First National Bank. Mendenhall invested in other enterprises as well. He and Guilford Hartley together owned much of the Duluth Street Railway Company and incorporated Duluth Dry Goods and the Duluth Shoe Company. 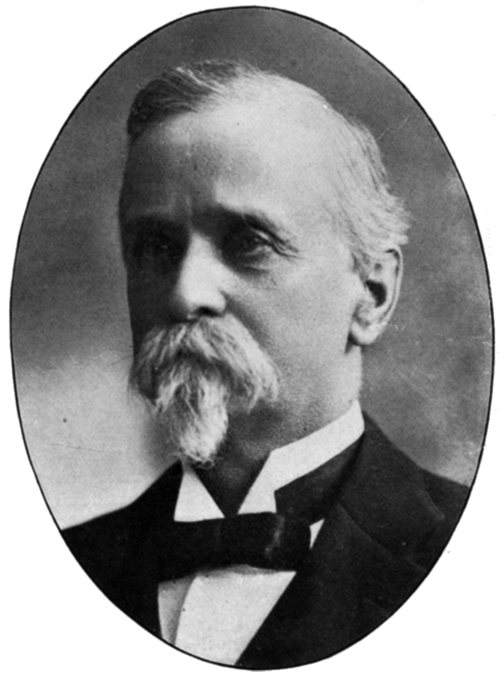 Mendenhall also served as the first president of the Duluth Library Association and was appointed to the Duluth Board of Park Commissioners following its reorganization in 1891. He remained on the board as its president until it was eliminated in 1913. Mendenhall’s reputation was sullied in the 1890s when his relationship with Kate Hardy led to a scandalous divorce from his wife, Ella. Hardy was the headmistress and namesake of Hardy Hall, a private girls prep school that Mendenhall had constructed along Woodland Avenue. Following his divorce, Mendenhall married Hardy in 1898. The school, renamed Craggencroft, closed in 1902. Unable to find a buyer for the property, Mendenhall had the entire structure disassembled, then built three houses on the property reusing the original building’s field stones. Luther and Kate Mendenhall lived in one of the houses until his death in 1929 at age ninety-three. He ascribed his long life and health to the fact that he was from a Quaker family and had led a Quaker’s calm and temperate life.